It’s a good idea to keep a range of tools and tyre changing equipment in your car so that you’re well prepared in case you have to repair or replace your tyre by the side of the road. If you’ve bought your car second hand, it’s important that you check that all the tools provided by the manufacturer, including tyre changing equipment, are still in place. Don’t just assume they’re there. You’ll find a full list in your handbook. If your car has a spare wheel, you should have been given a jack, a wheel wrench with extension bar and, if appropriate, a locking wheel-nut adapter. Of course, many cars don’t have a spare wheel so, if that’s the case, check that you have a complete post-puncture repair kit with spare CO2 canisters (or a pump) and sufficient glue. 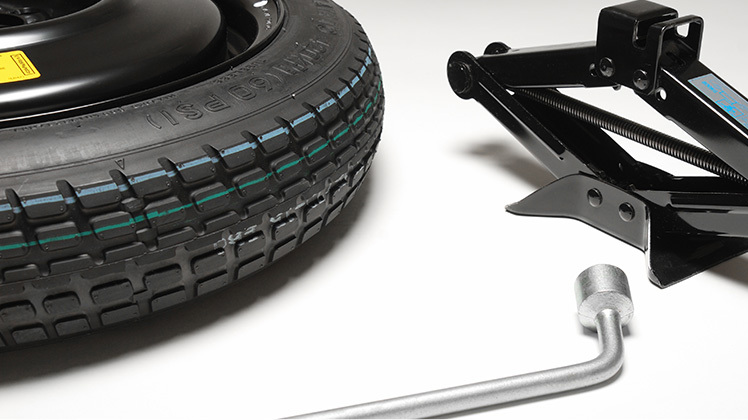 These are an alternative to the tyre changing equipment provided with spare tyres. Your vehicle handbook should always stay in the car and it is one of the most useful pieces of equipment you’ll need. Each make and model of car has its own peculiarities and your handbook will tell you specific details as well as what to do if you need a roadside repair. Details of your roadside repair provider plus your account details.